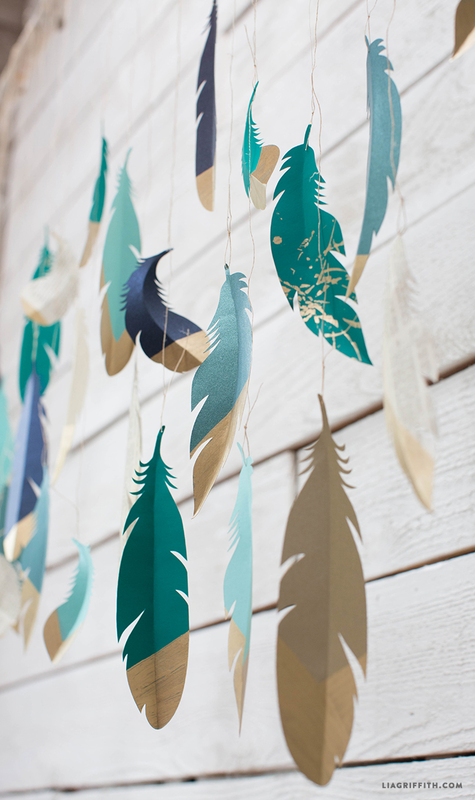 I love paper feathers, they are so versatile and always, always beautiful! 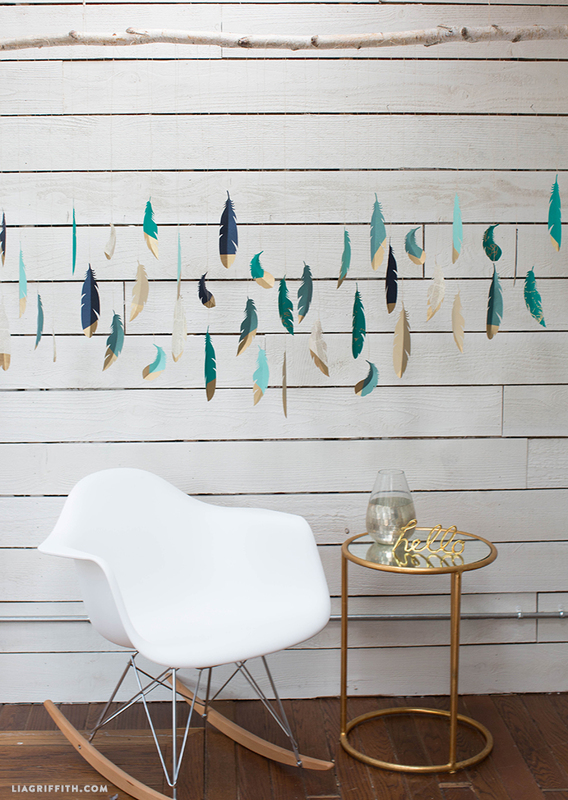 What fun it is to be adding this gold dipped effect using my gold leaf pen and turning a collection of them into a beautiful DIY paper feather wall hanging, backdrop or garland. This piece is now hanging in the office area of our studio. 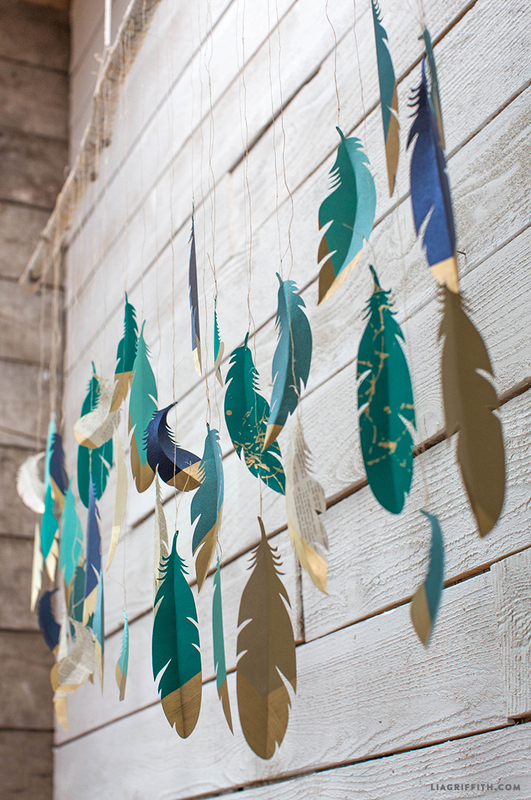 How did you attach the twine to the feathers? 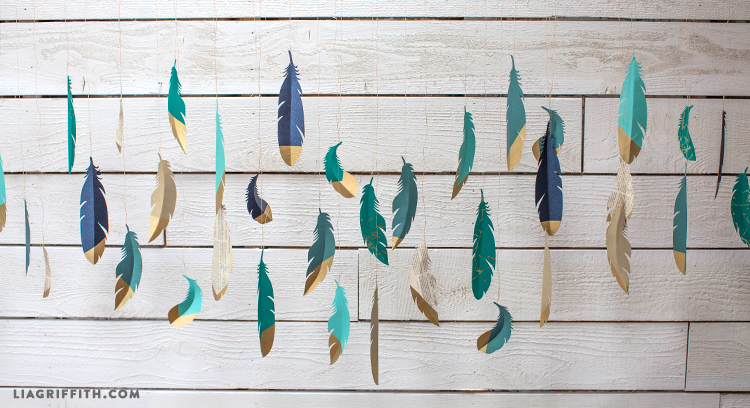 Is there just one feather on a string? Love this!! 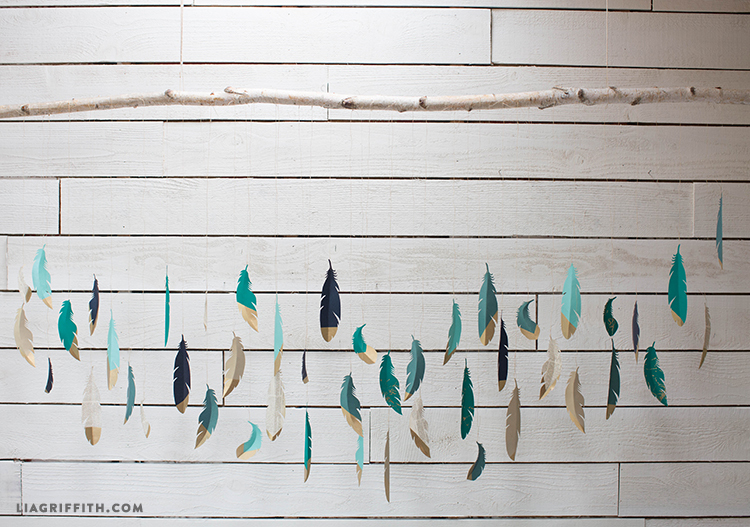 I’m going to make one for my daughter’s bedroom. 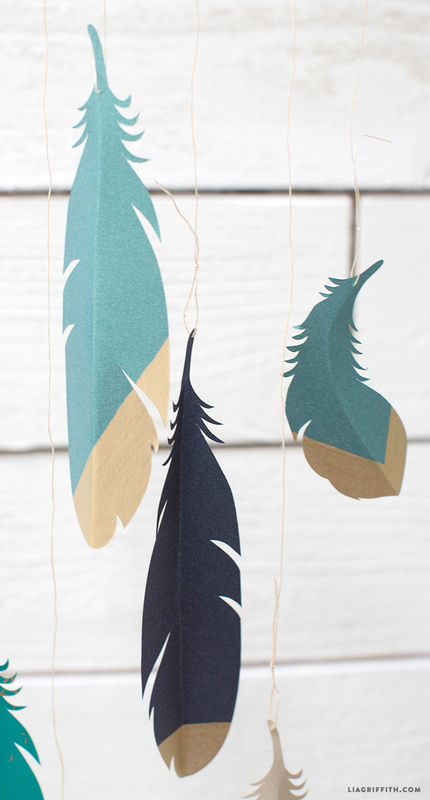 Did you just use regular thread to tie to branch or is it a thin twine?